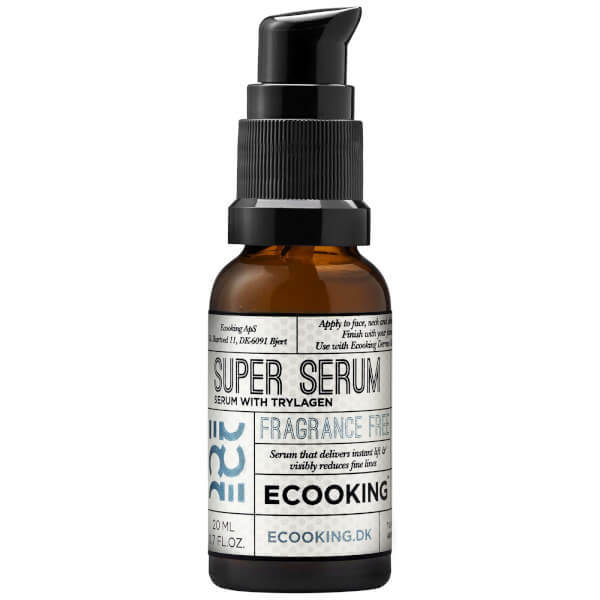 Improve your skin's overall appearance with the Super Serum from Danish skincare brand, Ecooking. Utilising Hyaluronic Acid and Trylagen (an active anti-ageing ingredient), the weightless formula absorbs quickly into skin to moisturise and hydrate, whilst minimising the appearance of fine lines and wrinkles. Delivers lifting and firming properties to promote a smooth, youthful-looking complexion. Ideal from age 35+.